Last Saturday I woke up far too early for a Saturday and bundled myself onto the train with my friend James in order to visit Jess, who's just recently started her placement year in the big smoke. Can I just say how much I prefer Chiltern Railways over any other train service, it may take slightly longer but the trains are always so much cleaner and I spent half the time thinking I've got onto the first class carriage by mistake.. - not sponsored I just really really like their trains. 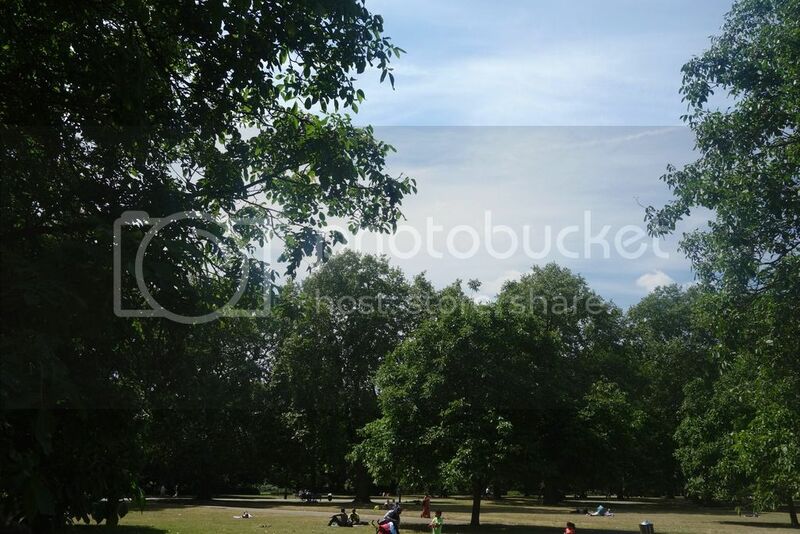 After meeting Jess she reeled off a few options for what we could but we decided to head to Hyde Park in order to grab some bikes, little did we know that this was everyone else's idea and therefore there were no bikes. We decided instead for a little wander round the park as it was such a nice day. 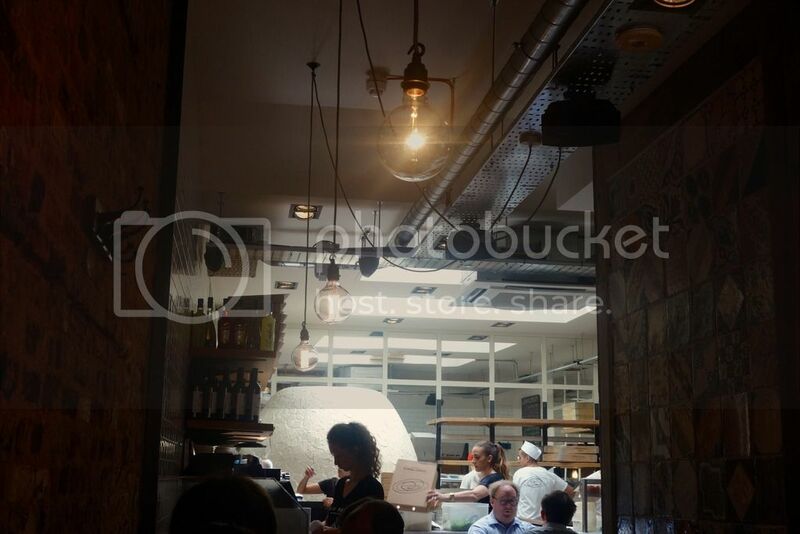 Our stomachs started grumbling quite quickly so we headed for food in South Kensington. 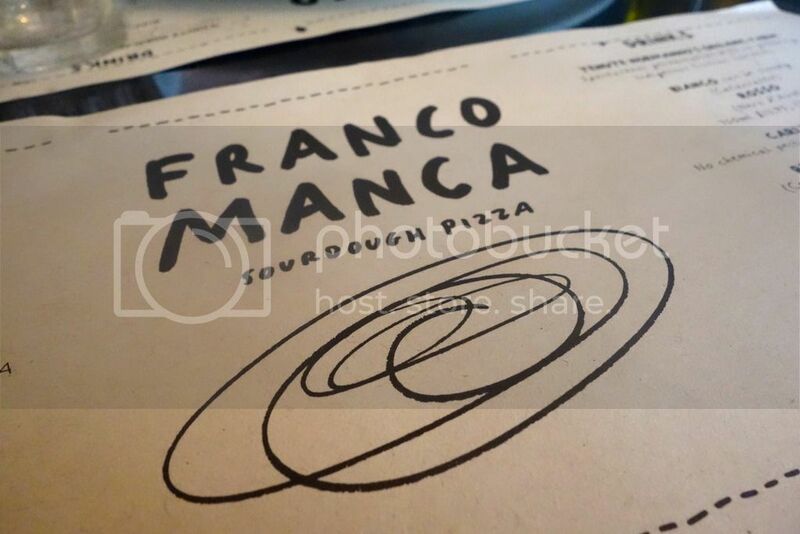 I had one place in mind and one place only, Franco Manca. After seeing it pop up on quite a few blogs lately I was so eager to try it myself although with my recent bad reactions to bread I was fearful. 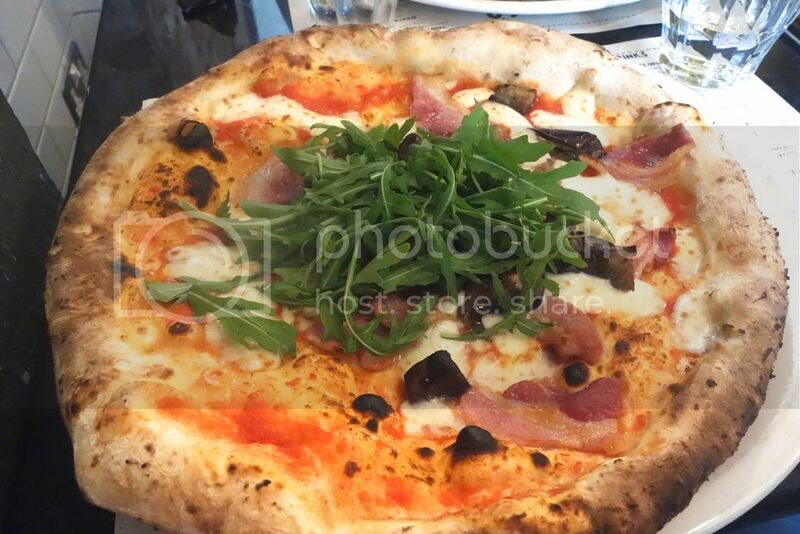 Luckily their pizzas are made from sourdough and for some reason they didn't have the same consequences... I was happy to deal with the pain if it did come though as the pizzas were just so good. We decided to split our pizzas and share - queue me trying and failing to cut my pizza into three, I've clearly lost my maths brain since school. The others we went for were the Glouster Old Spot Ham, mozzarella, ricotta and mushrooms and the tomato, chorizo and mozzarella. The chorizo was probably my favourite as it had such an intense flavour and was really thickly cut. Also can we just appreciate the decor - I need some of those lights. 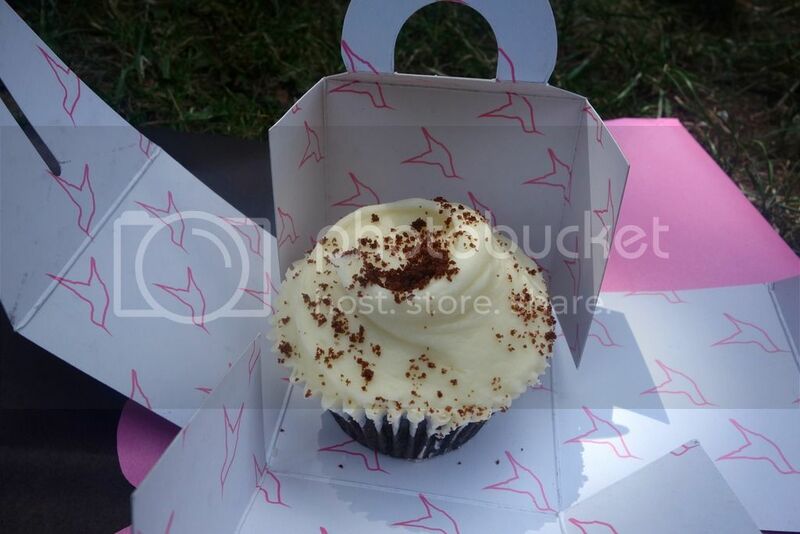 Apparently we weren't completely full as then we stopped off at the Hummingbird Bakery just down the road from Franco Manca and picked up some cake to eat in the park. 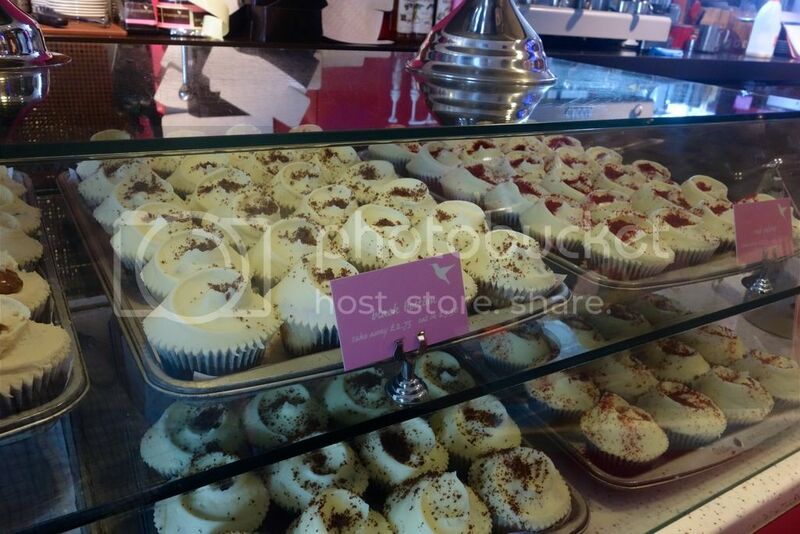 I decided to go for the black bottom cupcake which was so so good. It was such a nice day, catching up with friends I hadn't seen for far too long and seeing that Jess is loving London life... I may have to visit again soon. Travel: What's in my carry-on bag?